I’m three years in to my journey as a work-from-home mama, and what started off as a desire to photograph families and small business owners has turned in to a deep love and passion for telling the stories of women trying to build a business for themselves alongside raising their children. I know first hand that it’s not easy, it can be hard to feel like you’re succeeding in either area of your life, the constant need for multi-tasking can get a little overwhelming, and especially in the early days it feels like a whole lot of hard work without much reward. As tough as it can be, the flip side is the very great privilege of being able to spend your days filled with what you love. 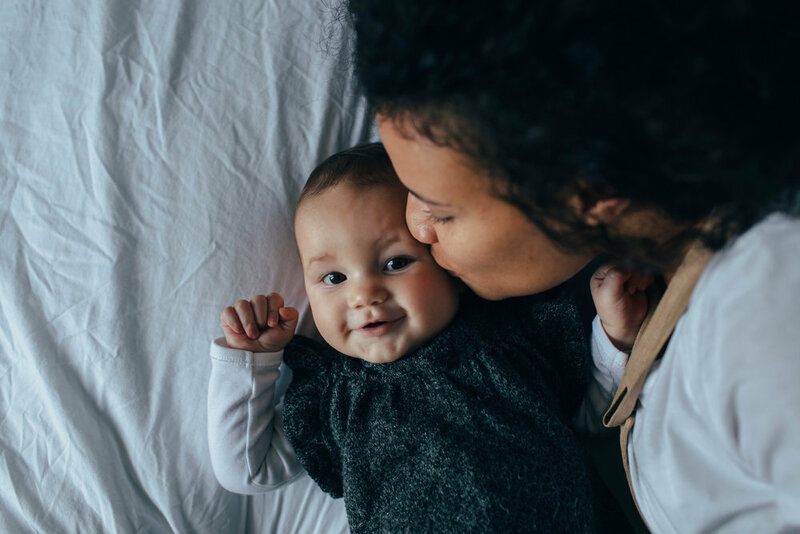 No commuting to a stuffy office, a job or a boss that you hate, and no leaving your baby in the care of a stranger while you’re lucky enough to earn the same amount it costs to have them looked after. 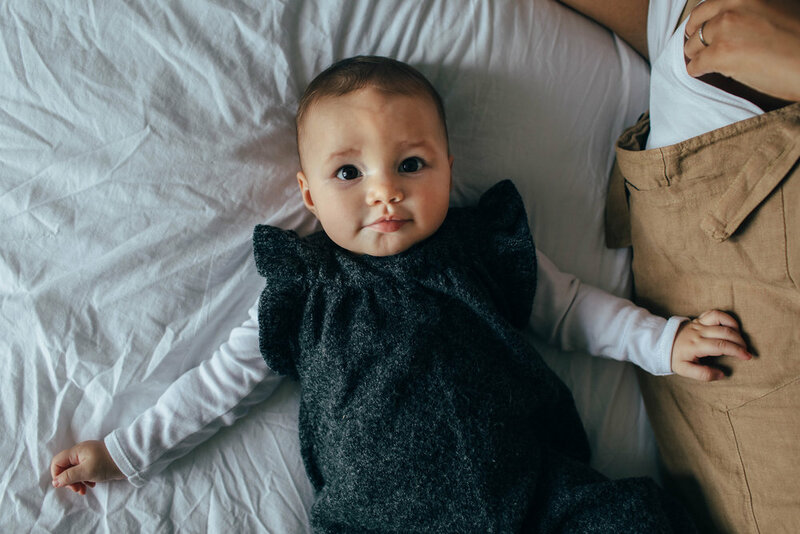 You’re there to hold your baby’s hand through every milestone, teething battle, giggling fit and runny nose, usually while typing an email with the other hand. When it works, it’s the most satisfying thing you will ever do. The realities are that working alongside your young child is rarely going to be easy. Sometimes they’re teething, won’t let you put them down or leave the room, fight their naps but work has to get finished anyway…so you strap that baby to your chest, free up your hands and just carry on. You learn patience, to work in tiny pockets of time, to embrace doing the work over making something perfect and acceptance over the many, many things that get left undone. But still you keep going, because the calling is too loud and the love of your work is too strong. I have so much admiration and respect for women who continue to pursue their passions, use their skills and grow a business whilst staying at home with their children. I’m a huge believer that just because something is hard doesn’t mean you shouldn’t keep trying. Figure it out. Have bad days and good days, and ride the rollercoasters that are motherhood and being a small business owner side by side. That’s no disrespect to any woman who doesn’t want to do that, being a parent is a full time job! It’s not for everyone, doing the two at the same time, but if you feel called to do it, then you can and you must. You don’t have to give up on yourself just because you have children, and I firmly believe that they benefit immensely from being included in your work. There is nothing I love more in my work than to photograph a woman working alongside her children, and Leata-Mae was a particularly wonderful woman and mother to have the pleasure of spending a morning with. 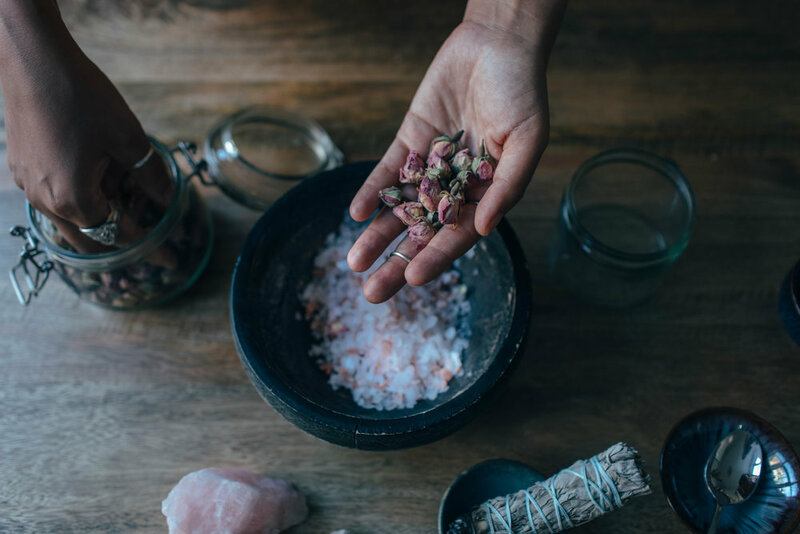 She’s a doula, and a herbalist, currently working on launching a new website and shop with her handmade, herbal products. She’s so knowledgeable, and I loved learning about the different products she makes and what the different ingredients do. 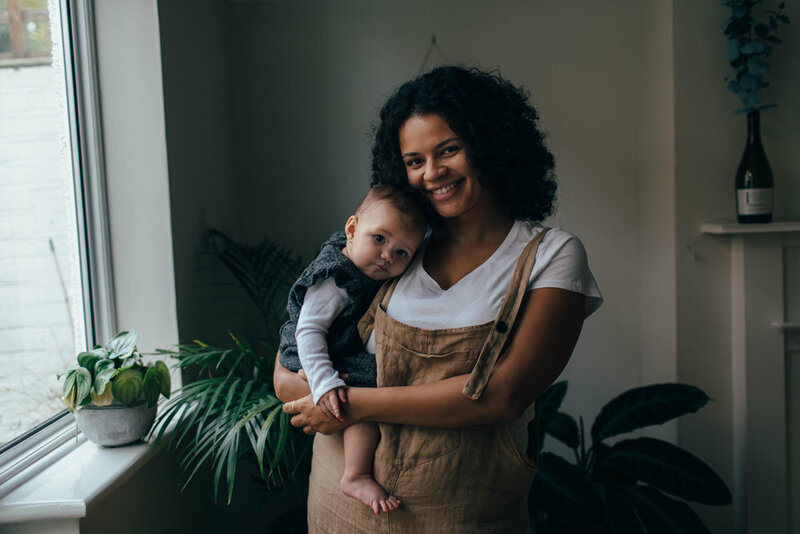 We talked about her journey to become a doula, and to become a mother, and I took some photos of her and her sweet baby Iah while we chatted. Then we went upstairs so I could take some photos of just her and Iah cuddling and playing together on the bed. I mean, just look at those baby chin dimples! Also, that last shot…perfectly illustrates why you should never put your camera away until you’re walking out the door. We were just chatting in the kitchen and I was all packed up and ready to leave, when she framed herself perfectly in the kitchen hatch. I yelled “stay there!” and ran to grab my camera. The result is one of my favourite photographs I have ever taken. I can’t even begin to tell you what a privilege it is to get a glimpse of the lives and work of women like Leata-Mae. To talk, to laugh, to learn, and to witness first hand the patience, calm and perseverance of a mother at home with her child, making, creating and dreaming alongside them. 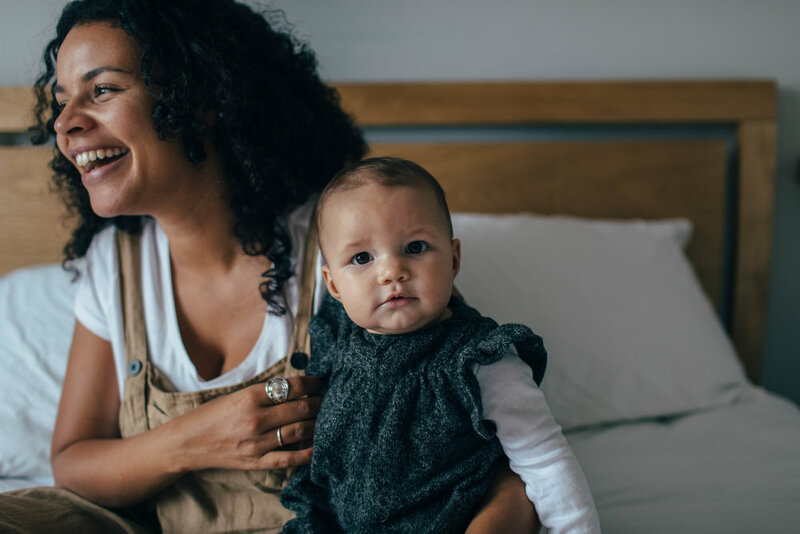 Women are truly the strongest and most courageous people I know, and it’s always inspiring to me to see them forge ahead with their passions and careers while raising a family. 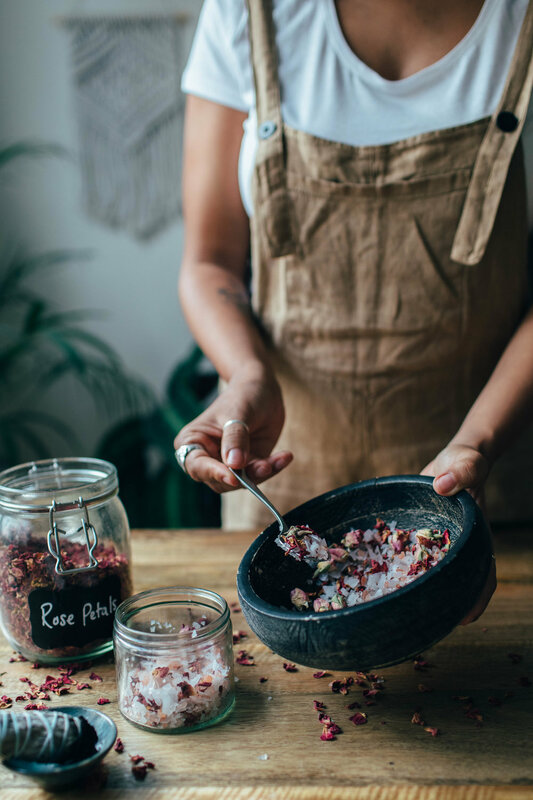 Leata’s new website isn’t up and running yet, but you can follow her on Instagram where she shares honest, behind the scenes of motherhood, herbal recipes and so much more.